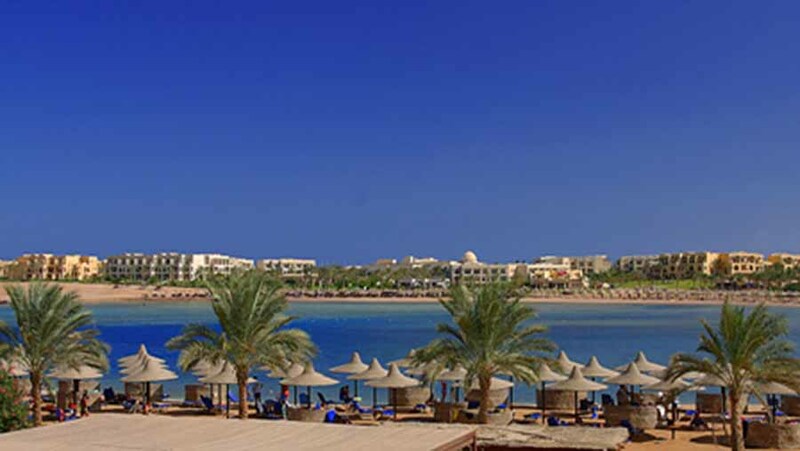 Jaz Lamaya Resort is a beautiful five-star family hotel in Madinat Coraya at Marsa Alam. This all elegant inclusive resort overlooks a peaceful and unspoiled private bay that allows easy access to the water and many excellent snorkeling and diving sites. 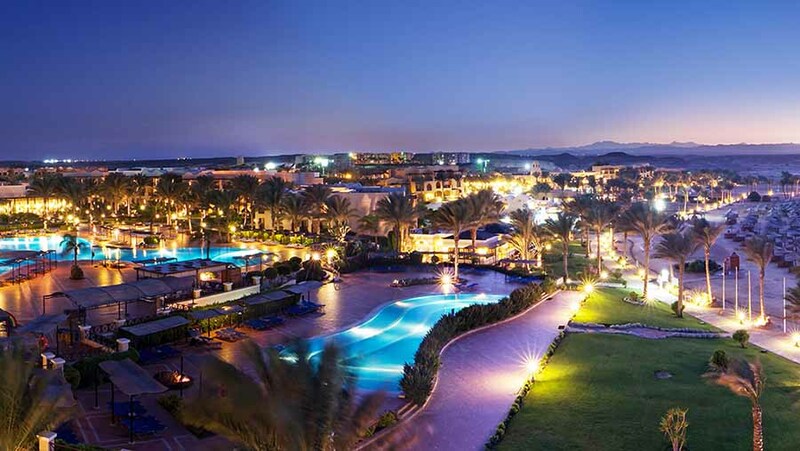 Just five km from Marsa Alam International Airport, the city of Marsa Alam itself is 73 km away. The resort combines turquoise clear waters with colourful mountains as a backdrop and a relaxed, sympathetic, architectural style. 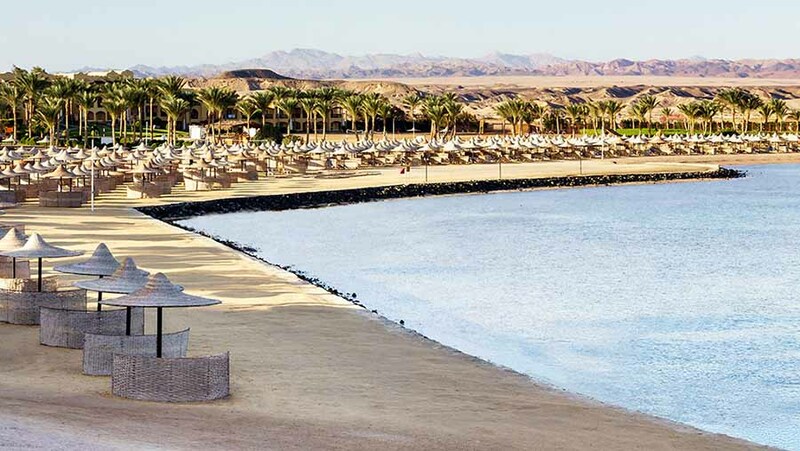 Here you can enjoy an idyllic and utterly relaxing Egypt seaside holiday experience with superb dining, fitness activities, diving and sports or just enjoy the sun all day. The hotel has consistently been selected as one of the best 100 hotels world-wide in Holiday Check and has won several awards including TUI services Award 2005/2006/2007, Thomson Gold Medal in 2006/2007, TUI Eco Resort winner in 2007/2008/2009 and has achieved TUI Environment Champion status for the past three years in a row. Hotel facilities are excellent and include a first class restaurant and welcoming bars, three swimming pools of which two are heated as well as a children’s pool, in addition to a hangout area where you can chill out and relax beside the pool, a Health Club and an outdoor yoga floor help you to unwind while watching the world go by. 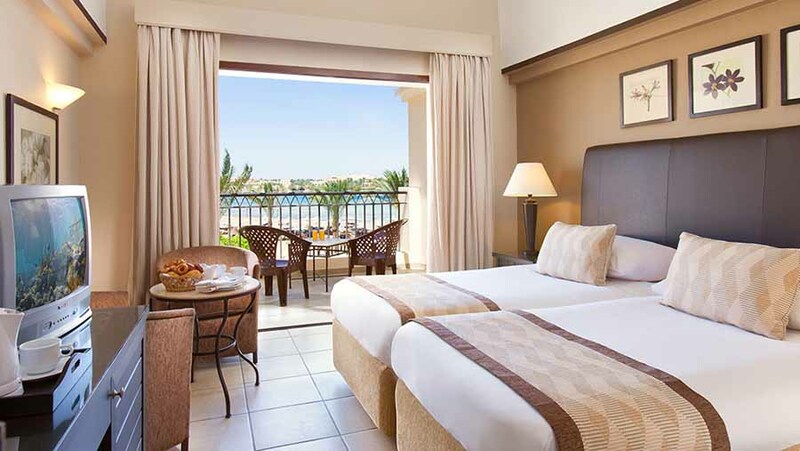 While impressive sports, fitness and leisure facilities are on hand in case you choose to simply relax on the magnificent shores of our sandy beach. The animation team will entertain you day and night as well as supervise activities for younger guests in the Kids Club that includes a regular evening disco for the young ones and their own playground. In addition to the babies lounge located in the playground area where our little ones can enjoy as much as they want. 24-hour reception services and a car rental facility are available. Our wireless internet access in the lobby allows you to stay in touch and for complete peace of mind; a resident doctor is permanently on call. 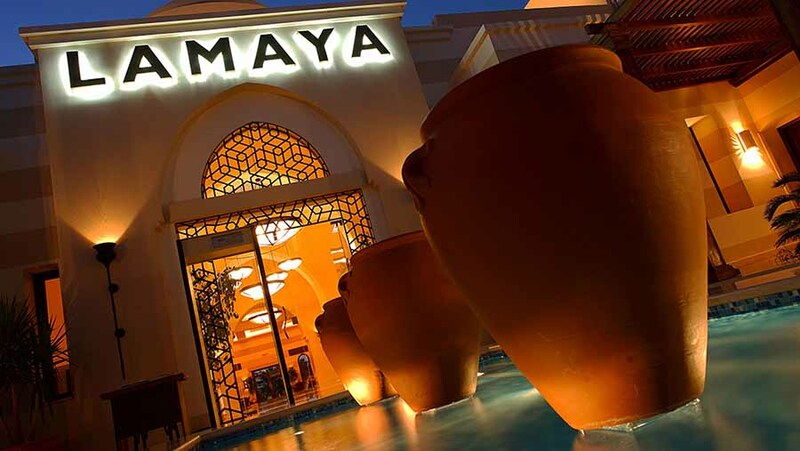 Jaz Lamaya Resort offers a fine choice of dining as well as a welcoming and friendly choice of bars. 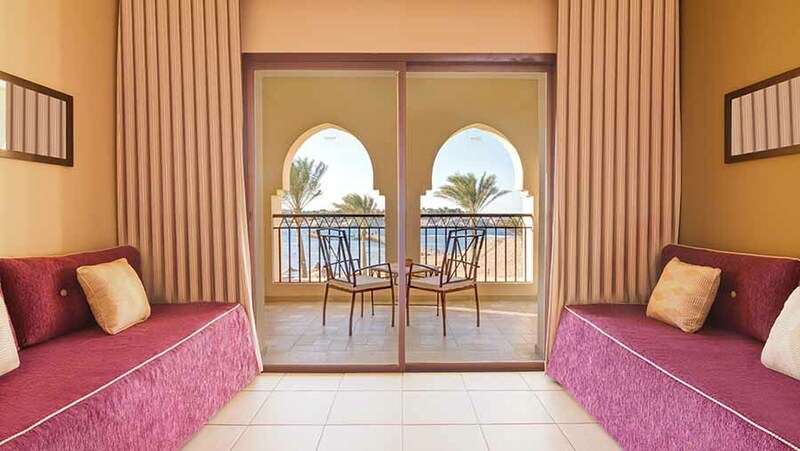 Diwan Restaurant is the main restaurant, offering a wonderful ambience and a spacious terrace overlooking the bay. It serves buffet style breakfast, lunch and dinner with live varied cooking stations and different theme nights. 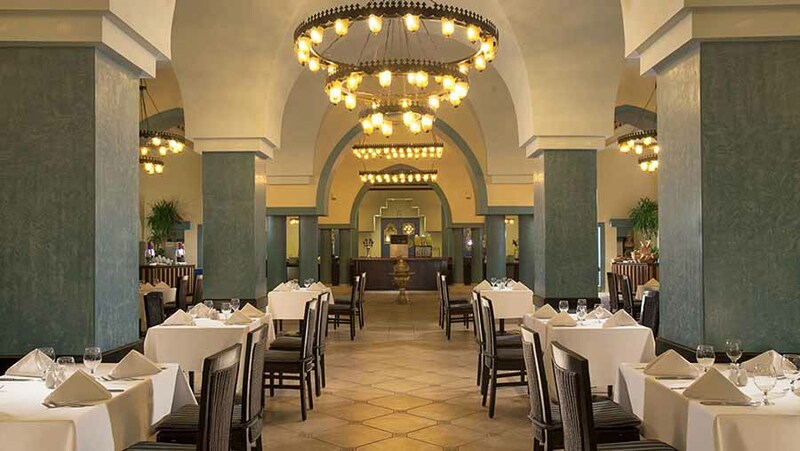 Morgana Restaurant is the beach restaurant and bar overlooking the bay offering fresh and healthy snacks during the day and a luxurious and prestigious sea food menu against supplement. 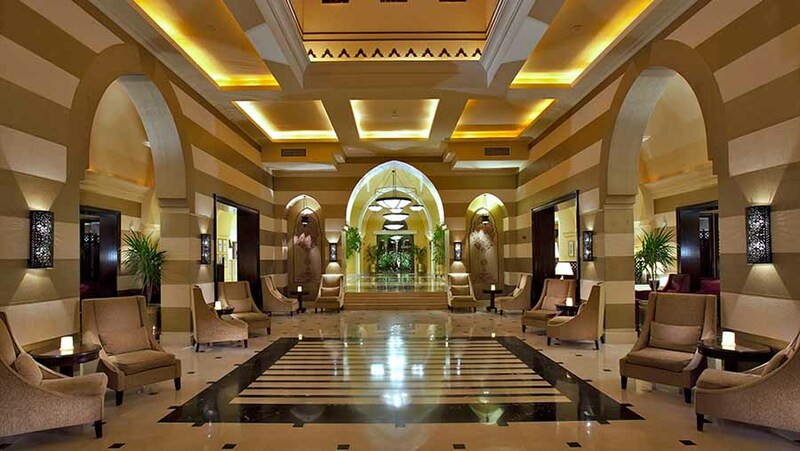 Mawal Lobby Bar serves a wide variety of local and international drinks and cocktails. 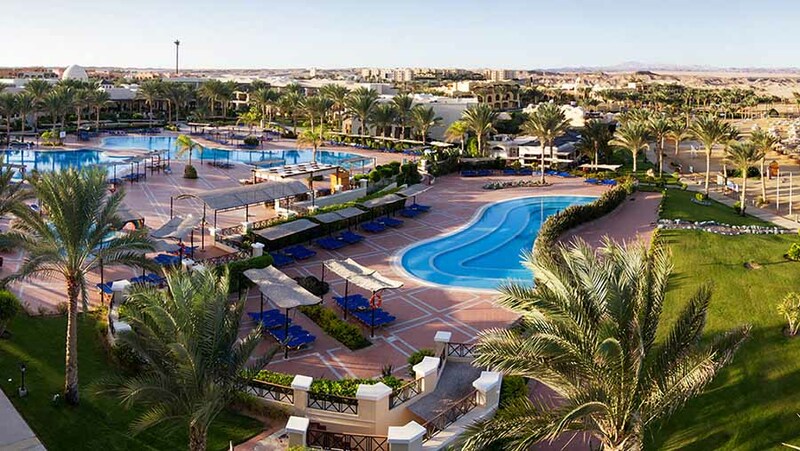 Nesma Pool Bar is a great place to enjoy a cooling drink or an ice cream all day. For larger parties or organised events Jaz Lamaya Resort also provides a fully equipped meeting room that can accommodate business events, conferences, seminars or cocktail parties. The conference room can accommodate 50 people for a sit-down set menu or up to 150 for a cocktail reception. Those who prefer entertainment at a more leisurely pace can join in the animation programmes during the day or take in the shows and live music cabarets that are regularly presented in the evenings by the experienced and enthusiastic animation team. A Kids Club with child care and daily kid’s disco is also supervised by the in-house team, providing special programmes for children aged 4 – 12 using their own supervised playground area and the dedicated kid’s pool.